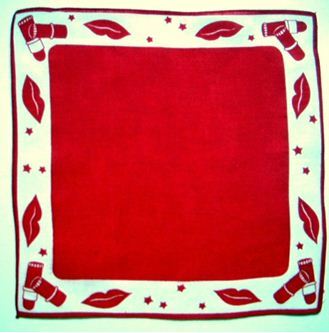 Hunters have known for decades that a red handkerchief can literally save your life. Conversely, a white handkerchief could spell your doom. When spotted from a distance, a fluttering white hankie can be mistaken for a deer’s tail, and a hunter dressed in camouflage, stifling a sniffle, may find himself the target of an eager bullet. The wise hunter always carries red. 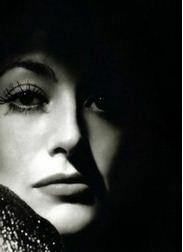 A hunter of “big game” of another sort – her trophies included Douglas Fairbanks Jr., Clark Gable, and Pepsi CEO Alfred Steele – was Oscar winner Joan Crawford. 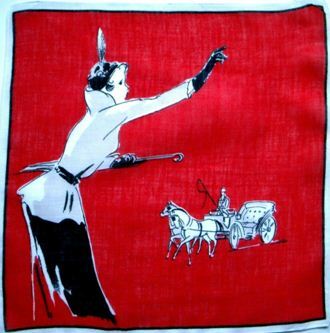 Legend has it that Ms. Crawford is responsible for introducing the red handkerchief to the world of fashion. Because of her star status, it soon became the “must have” accessory. “Wire hangers” aside, Crawford was famous for meticulous discipline in her appearance. (She jogged regularly decades before it was a trend.) So the legend goes, Crawford was dining with a Hollywood mogul one evening when she noticed a smudge of lipstick on her pristine white linen handkerchief. Quelle horreur! 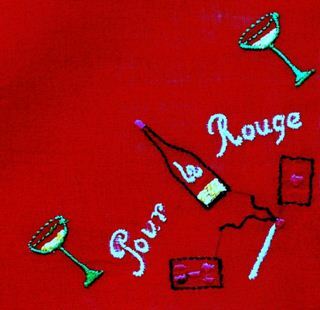 Apparently the very next morning Crawford requested that her seamstress make her an all-red hankie. Soon every woman wanted one just like it. 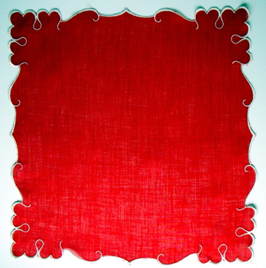 The crochet border transforms this fire engine beauty from plain to flirtatious. 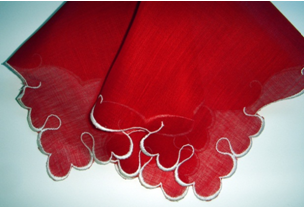 Here’s another deep crimson hankie with a flirtatious scalloped edge. It’s utilitarian in terms of hiding lipstick, and totally feminine in terms of style. Scottie dogs were popular in the 1930’s-40’s and were depicted on many handkerchiefs, so it’s not surprising to find them here. The crisp black and white Scotties pop against the dazzling red background to create a modern, yet oh-so- 1930’s nouveau design. 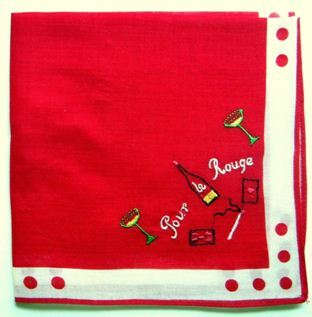 This hankie which reads “Pour le Rouge” includes champagne and cigarettes, two requisite accessories for nightclubbing. Note this hankie sports its very own tiny lipstick hankie alongside the smoldering cigarette! Here’s a cute and self explanatory little number with a border that’s vibrant and fun. A girl could tuck this in her breast pocket, with the lips peeking out, and probably start quite a few conversations. Come to think of it, I actually watched this ploy in person myself once. It was Valentine’s Day and I was meeting a beau for drinks and dinner at a popular restaurant called Moose’s. (The name may sound silly, but its namesake was Ed Moose. When Ed passed away, the papers described him as “North Beach ring-master, soft-hearted philanthropist and beloved man about town”, but I digress.) The point I wished to make was that the minute you walked through the door at Moose’s, regardless of how your day had gone up to that point, you were instantly in a good mood. There was always live music in the background and a spirit of camaraderie between tables. I waited in the bar for my date, perched at one of the tall, tiny bistro tables. Soon, a pair of young women arrived, smartly dressed, and carrying shopping bags. They too chose a tall bistro bar table, but rather than place their purchases at their feet, where there was plenty of room, they gingerly arranged their bags on the teensy table top. Victoria’s Secret bags, to be exact. One gal even fluffed up the pink tissue paper so it was highly visible. Hmmm. Let’s recap. Valentine’s Day. A bar full of men. Gorgeous gals with bags of lingerie. Guys got so hot and bothered they actually started loosening their ties. It was interesting to watch. Want to guess how long the ladies were seated before men lined up to buy them drinks? Actually drinks and dinner were offered almost immediately. I was at the very next table, so I had a ringside seat to the whole show. I got a big kick out of the performance. I don’t want to say these gals were real “pros” because that would convey the wrong impression. Let’s just say they knew how to make an entrance, and hold a room once they got there. The little hankie above with kisses on the border is is no match for a bag from Victoria’s Secret, but it’s a start. This wasp-waist fashionable miss, complete with gloves, umbrella and feather in her cap hails a hansom cab in Central Park. The bold graphic leaves plenty of room for a discrete blot of the lips. Tissues may have existed simultaneously with these bright hankies, but blotting your lips with tissues would leave you with a snowstorm of lint on your lips, rather than luscious and ready for a good night kiss. 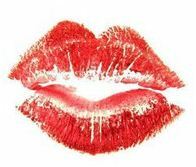 Lipstick hankies, on the other hand, provided a clever damsel with a little red flag to discretely wave about to draw attention to herself. If a red flag can cause a bull to charge, it should certainly be able to move a red blooded male off a bar stool. 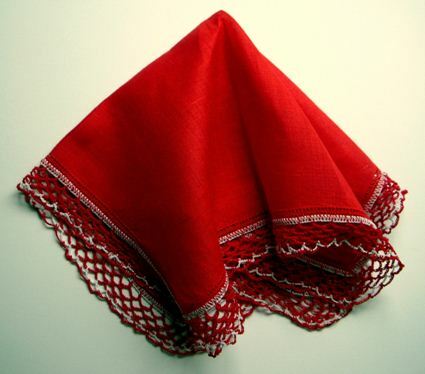 Ah handkerchiefs – long may they wave! Love the handkerchiefs and the stories to them. Kudos keep the great work. 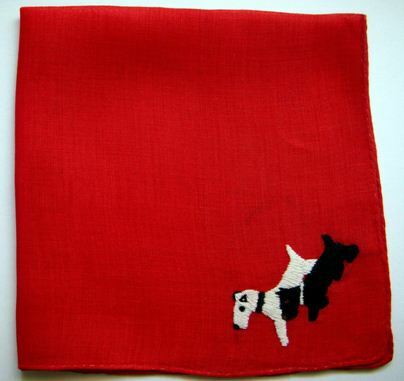 FYI, the two Scotties on the red hankie are really two terriers, but not both Scotties. The white one is a Wire Hair Fox Terrier, also extremely popular mid century. Skippy, the WHFT, was featured in Bringing Up Baby with Cary Grant and Katherine Hepburn, the same dog who played Asta in The Thin Man. You are so right. I can see the difference now that you point it out. Thank you for the update. Something to learn every day.